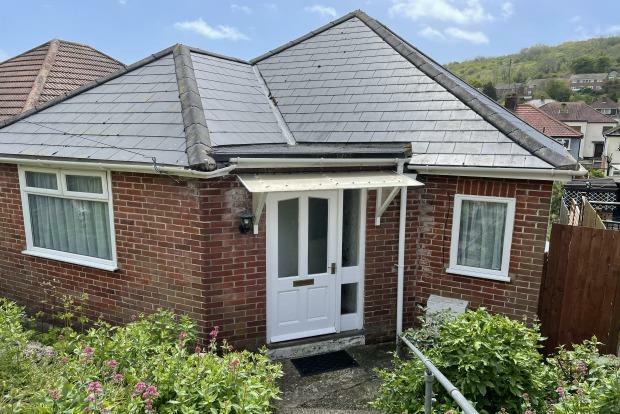 2 Bedroom Detached Bungalow To Rent in Dover for £775 per Calendar Month. A desirable property in a sought after location. Detached bungalow offering 2 double bedrooms decorated with modern grey carpet and newly decorated throughout. At the front of the property leading into a small porch area. Lounge - Carpeted with a window to the rear of the property. Gas fire with surround. Kitchen - modern white units with built-in electric oven and hob. Space for washing machine and fridge. Dining area - useful space. Bathroom & WC - comprising of low level WC, wash hand basin and bath with shower over. Carpeted, double room to the front of the property. Carpeted, small double room to the rear of the property. Tiered front garden with steps to the front of the property and access from both the sides to the rear of the property. Rear garden has established boarders with lawn area and raised patio area. Sorry no DSS or smokers. Pets will be considered on a case-by-case basis. Available now. Please call our office on 01304 240183 to arrange your viewing.